Its time for another batch of tarot spreads designed to assist us with our creative writing projects. For today’s post I decided to focus on character development. Character development can be crucial, especially in longer works. The more you know about and develop your characters, the more their actions, choices and narratives take on an organic flow. Sometimes characters take on a life of their own and they will tell you what what they would do next and you just have to transcribe. That’s when the writing process really gets magical. A little caveat, you can of course spend too much time on character development and never actually get around to writing the story at all. 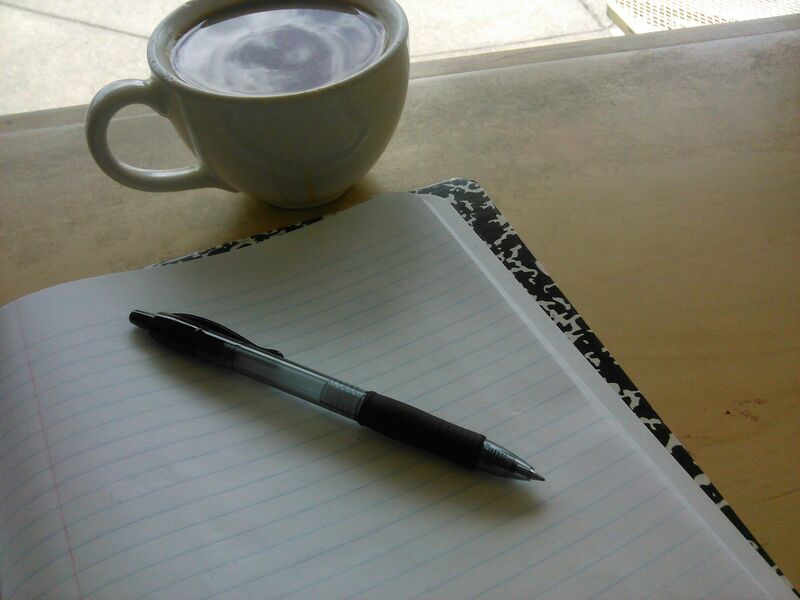 Be mindful and don’t feel like you need to know every tiny detail before you can start writing your story. Often characters will reveal things about themselves along the way too, so while you can get the gist of your character with these spreads, allow room for some natural development as well. One way to do this first spread is to use only the court cards, but using the entire deck works just as well. 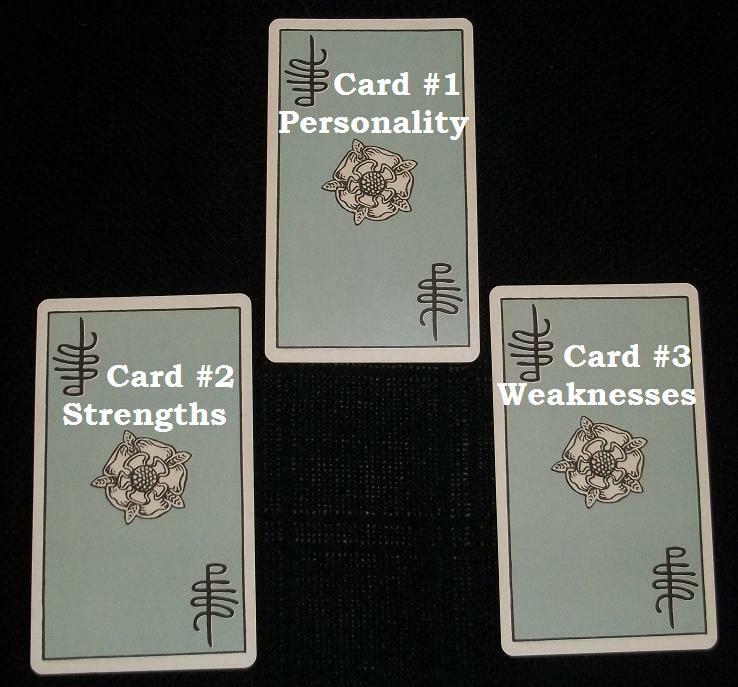 Card #1 – Personality: This is one of the character’s core personality traits. Its likely the most dominant one, or the one that they show to the world and express most externally. Card #2 – Strengths: This card represents a skill or trait that the character has which is helpful or useful to them throughout the story. Card #3 – Weaknesses: Weaknesses represent traits or tendencies of the character which get in the way, create obstacles or undermine a character’s success. It can also point out an area where the character may need get help or assistance from another character. 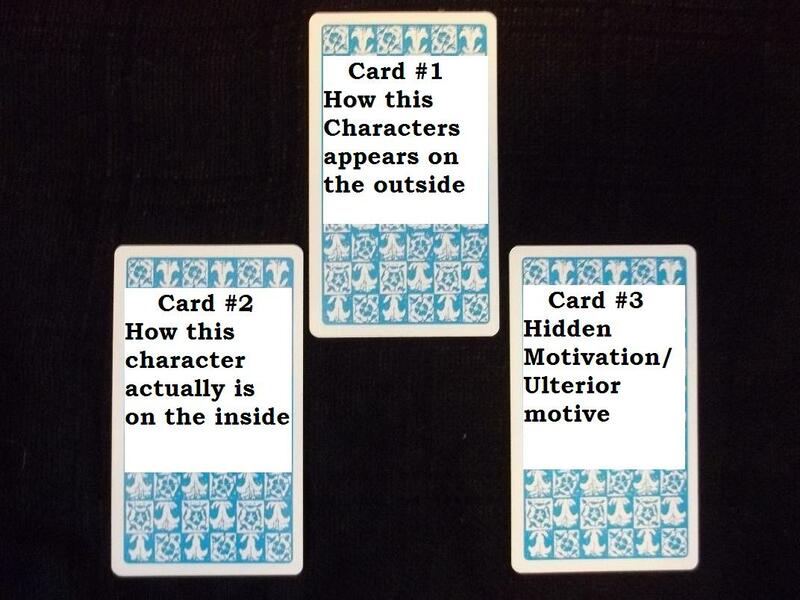 Card #1 – How this character appears on the outside: This is the face your antagonist shows to the world (or other character, you can certainly use this spread for characters other than a strictly identified “antagonist” and this can be a good way to examine the many facets of a character.). This is what they want everyone to see. This is how they intend that everyone perceives them. This card will tell you if they are overtly antagonistic, passive-aggressive, or trying to pass themselves off as one of the “good guys”. Maybe its the armor they wear as emotional protection. It could be an idealized version of themselves which they project out into the world. Card #2 – How this character actually is on the inside: This is the truth beneath the mask of Card #1. This is who the character really is. This likely represents a part of themselves they are trying to hide, either intentionally or unintentionally, either to achieve their own antagonist ends or out of shame. Card #3 – Hidden Motivation/Ulterior Motive: This card tells you what is driving the character’s antagonism and what their hidden agenda is. It represents what’s in it for them and what they are trying to secretly achieve (or maybe not so secretly). I hope you enjoy these spreads and that they inspire dozens of interesting characters to populate your writing.